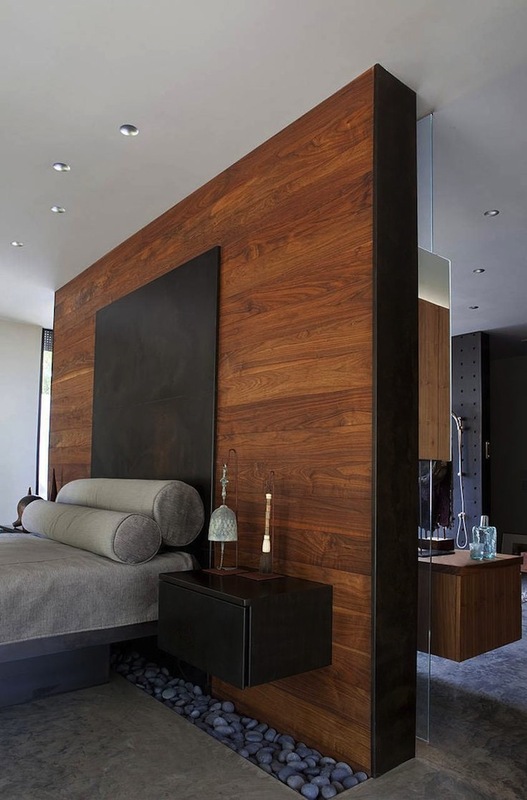 Built-in bedside companions are stunning on this eye-catching wall of wood. Metal, wood and stone–what a wonderful combination. 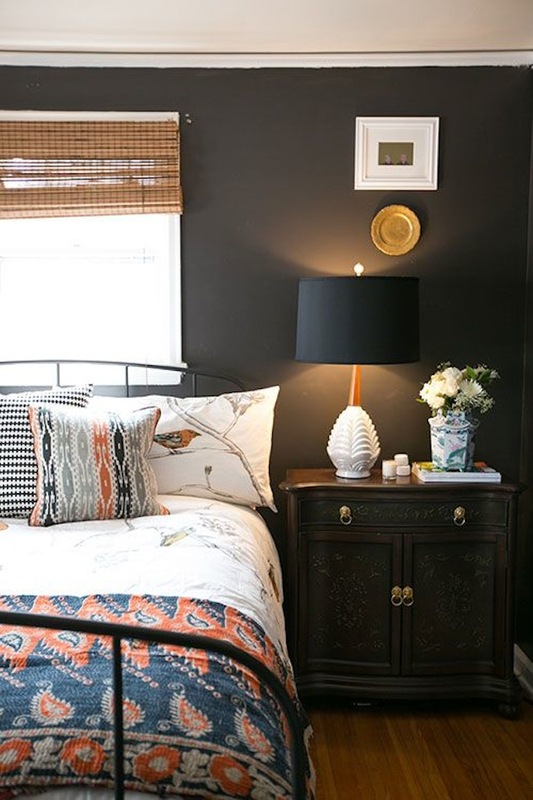 Set against dark painted walls, this wooden chest is perfect used as a bedside table. 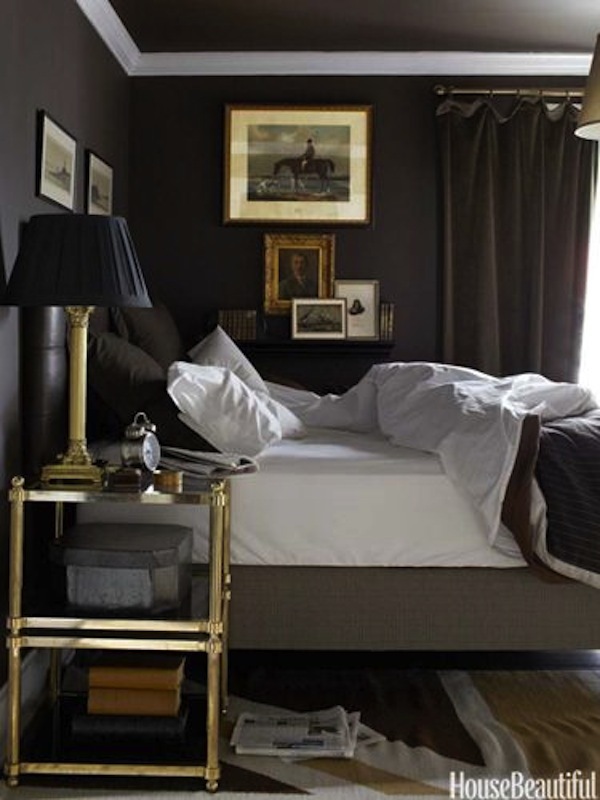 Paired with an iron bed and vintage-look bedding, it’s darkly handsome and charming. No need for a conventional bedside table here. Some inventive soul has stacked large scale periodicals to serve as a table upon which to place a lamp. Seems just right for this chic and stylish space. Brass and glass are a pairing on a bedside table in this dark and handsome bedroom. This tiered table is both beautiful and functional with its extra display space. Sturdy wood shelves hold large “coffee table” sized books on this open bedside table. 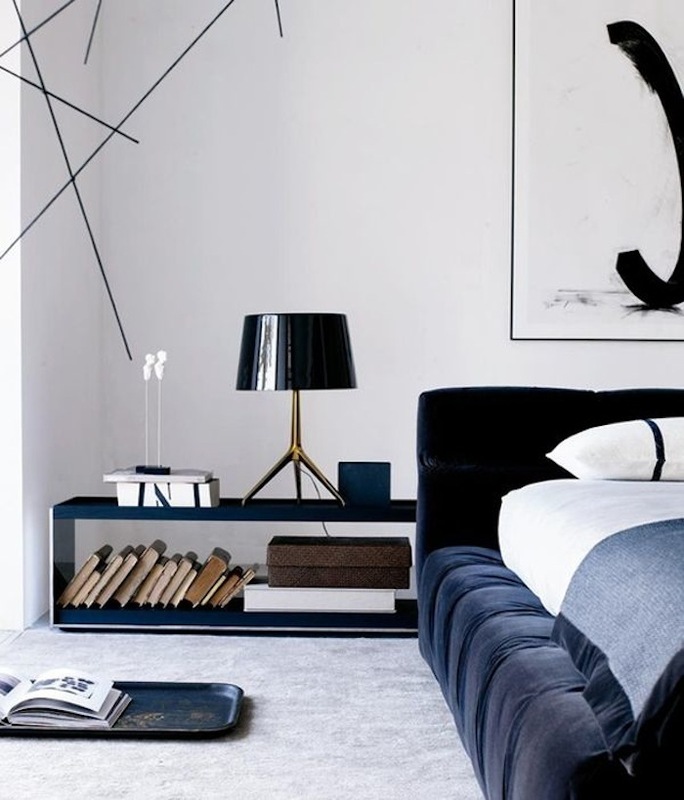 Dark blue walls and a handsome upholstered headboard along with carefully selected bedding are just right for this masculine bedroom. 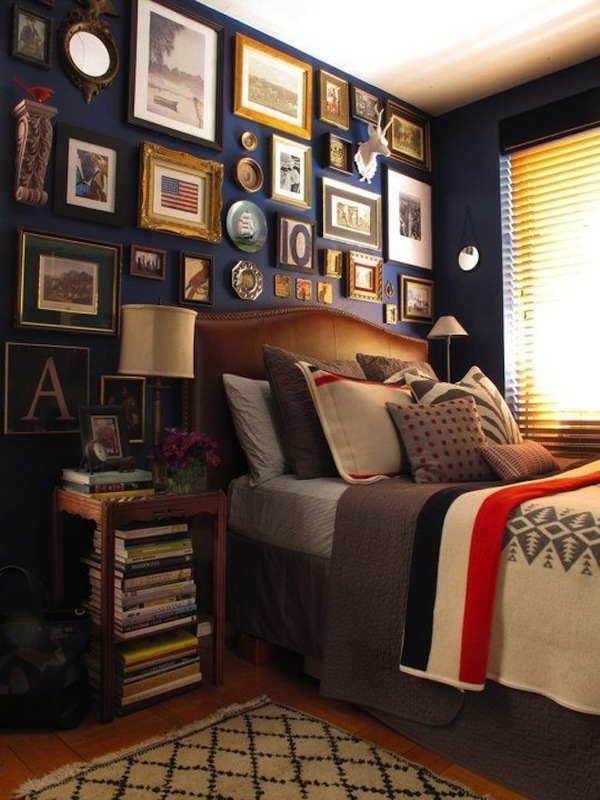 An eclectic gallery wall completes the picture. Sometimes great bedside tables aren’t really bedside tables at all. 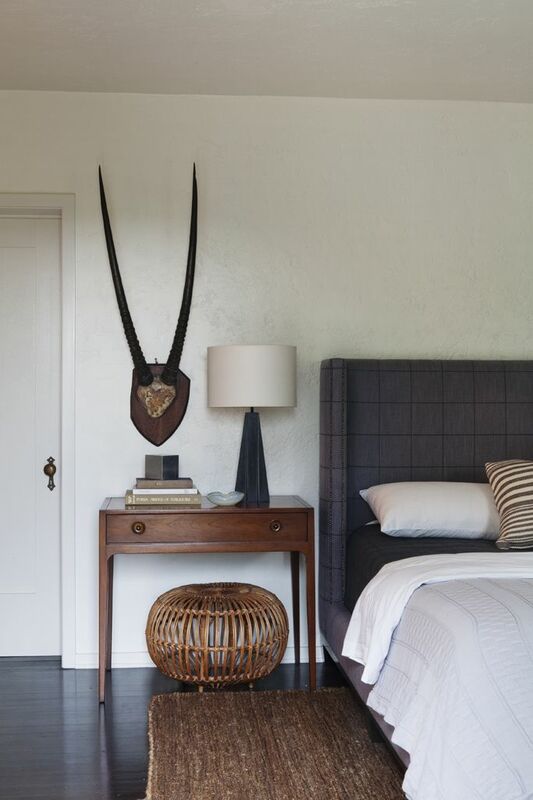 Here, a bentwood chair replaces the expected nightstand on one side of this modern wood bed. The chair functions well and even has its own artwork. 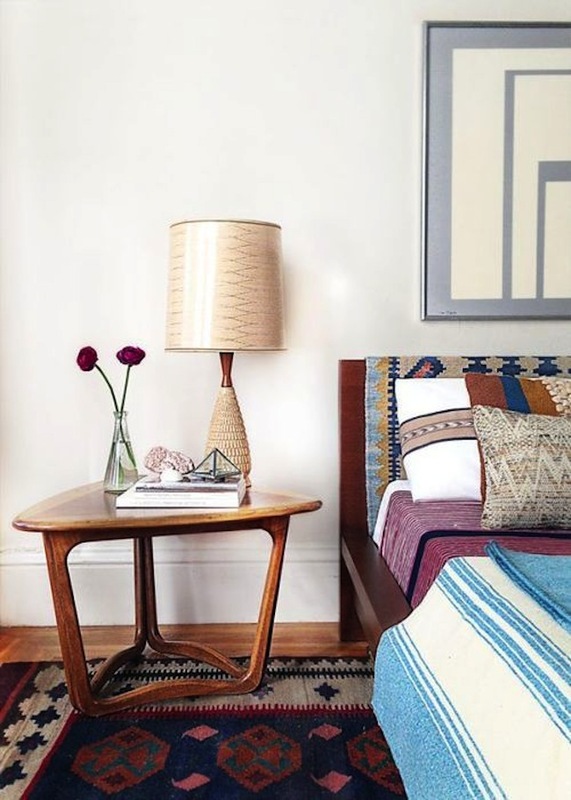 A vintage modern triangular table works beautifully as a bedside table. 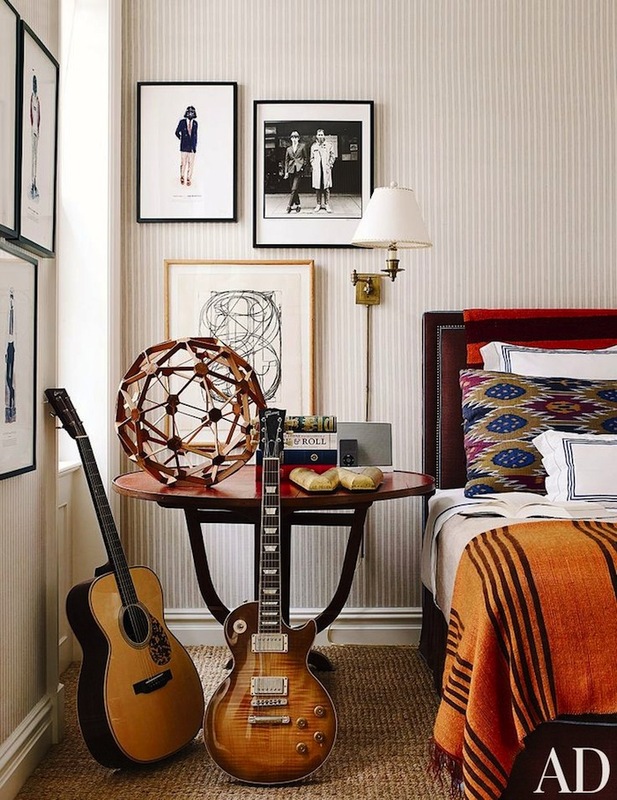 We love the way Native American rugs are used in this space. 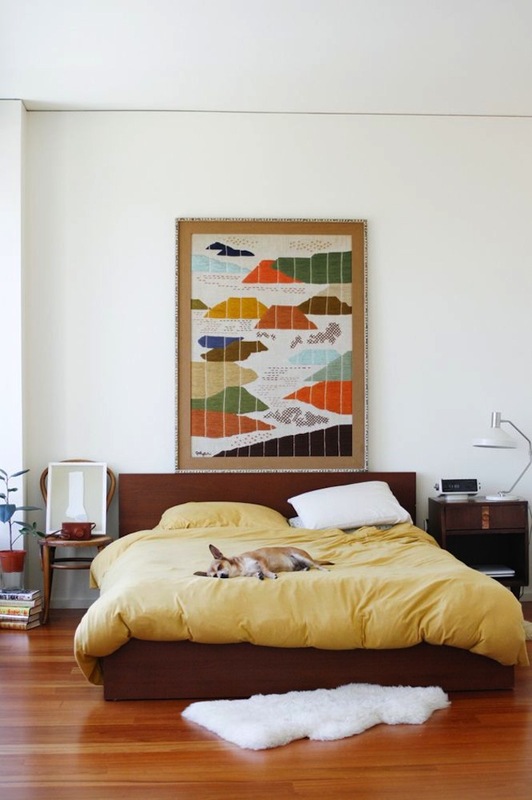 Some people can find that picking a rug for their room can be a little more difficult than they initially thought. 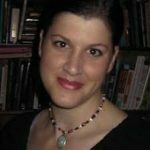 This is why a site like https://info.bazaarvelvet.com/rug-design-guide-how-to-choose-a-luxury-rug would be useful for you to look into when it comes to finding the right rug for you and your home. At certain times and in certain spaces “less is more.” Such is the case with this metal and marble table. Set amongst deep and moody elements it plays a superb supporting role. A small writing table can work extremely well as a bedside table. 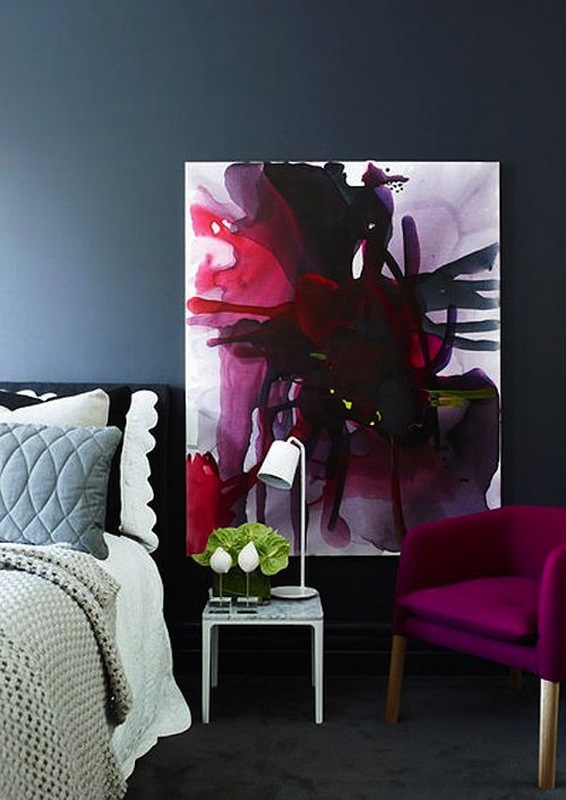 Here, it’s perfectly suited as a companion to this dark upholstered bed. Menswear stripes on the wall and a sisal rug on the floor create a stylish backdrop for this elegant table and handsome leather headboard. 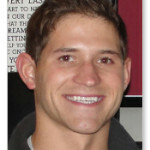 Image Sources: Pinterest.com; DomainHome.com; JaclynPaige.tumblr.com; ApartmentTherapy.com; HouseBeautiful.com; DesignSponge.com; Blog.TheDPages.com; HomeDesgn.com.